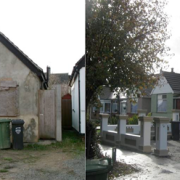 It is a well established that poor condition properties have an adverse affect on the neighbourhood. Anyone unfortunate enough to have lived next door to a long term empty property will understand the frustration and misery such a situation can create. The “Broken Window Syndrome”, once a property looks to be in a poor condition and suffers minor vandalism; this often gives the green light to cause more significant damage. Early, intervention will result in a minimal cost to the owner, but once a property suffers significant damage the cost to the owner can be overwhelming. The Royal Institute of Chartered Surveyors estimates that properties adjoining poorly maintained homes can be devalued by as much as 18%. When looking at regeneration of an area, properties in a poor condition are a disincentive to other owners to invest in their home, causing a spiral of decline. If owners can see that the worst properties in their area are being improved, then they are more likely to invest in their own properties. The Town & Country Planning Act 1990 (the Act) provides a local planning authority (LPA) with the power, to take steps requiring land to be cleaned up when its condition adversely affects the amenity of the area. If it appears to the local planning authority that their area is being adversely affected by the condition of neighbouring land and buildings, they may serve a notice on the owner requiring that the situation be remedied. These notices set out the steps that need to be taken, and the time within which they must be carried out. The local planning authority also have powers to undertake the clean up works themselves and to recover the costs from the landowner. The use of s215 is discretionary and it is therefore up to the local planning authority to decide whether a notice under these provisions would be appropriate in a particular case, taking into account all the local circumstances. The local planning authority will consider, for example, the condition of the site, the impact on the surrounding area and the scope of their powers. In some circumstances s215 notices may be used in conjunction with other powers, for example, repair notices in respect of listed buildings or dangerous structure notices. Section 215 can be used effectively on large vacant industrial sites, town centre street frontages, rural sites, derelict buildings, and semi-complete development as well as the more typical rundown residential properties and overgrown gardens. The scope of works that can be required in s215 notices is wide and includes planting, clearance, tidying, enclosure, demolition, re-building, external repairs and repainting. ‘Amenity’ is a broad concept and not formally defined in the legislation or procedural guidance, ie it is a matter of fact and degree and, certainly common sense. Each case will be different and what would not be considered amenity in one part of an area might well be considered so in another. The local planning authority will generally consider the condition of the site, the impact on the surrounding area and the scope of their powers in tackling the problem before they decide to issue a notice. The local planning authority has the option to prosecute for non-compliance and /or to carry out the works themselves. The course of action pursued will be dependent on the circumstances of the case. Where the local planning authority undertakes the works in default, then formal debt recovery procedures will be followed. This includes securing a charge against the property and recovery of the debt through the County or High Court bailiffs or even the enforced sale of the property . Generally, the local planning authority will try and resolve matters to preclude the need to use formal notices. However, where owners fails to engage constructively with the local planning authority, then formal notices will be served.